Hewlett-Packard's new one-on-one computing systems for professionals. 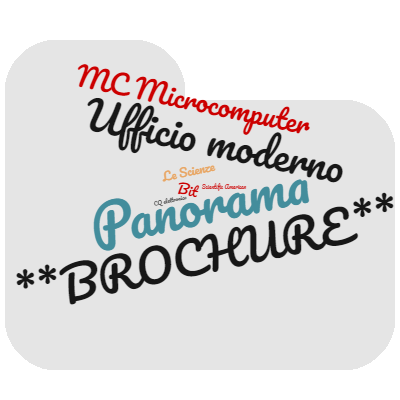 Together, you can analyze technical problems and evaluate solutions. HP Series 80 personal computing systems provide the technical solutions you require. Quickly! Easily! Inexpensively! Analysis techniques that were formerly difficult and often impossible, become part of your everyday work routine. You can evaluate functional behavior, select variable alternatives, perform cost analysis...and more... all with greater accuracy and using more variables than you thought possible. 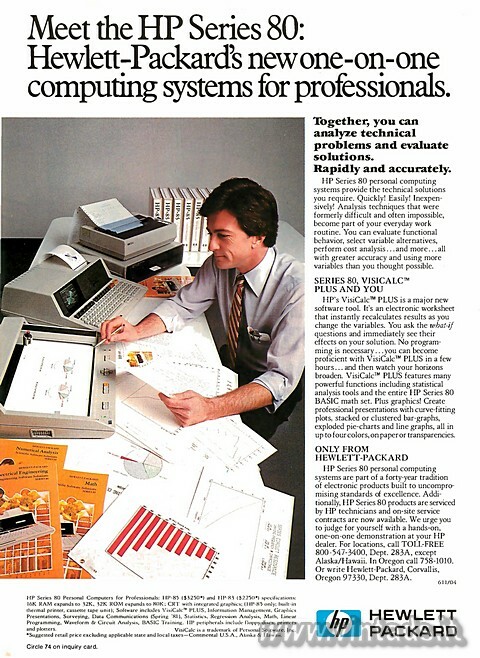 HP's VisiCalc PLUS is a major new software tool. It's an electronic worksheet that instantly recalculates results as you change the variables. You ask the what-if questions and immediately see their effects on your solution. No programming is necessary ...you can become proficient with VisiCalc PLUS in a few hours... and then watch your horizons broaden. VisiCalc PLUS features many powerful functions including statistical analysis tools and the entire HP Series 80 BASIC math set. Plus graphics! Create professional presentations with curve-fitting plots, stacked or clustered bar-graphs, exploded pie-charts and line graphs, all in up to four colors, on paper or transparencies. HP Series 80 personal computing systems are part of a forty-year tradition of electronic products built to uncompromising standards of excellence. Additionally, HP Series 80 products are serviced by HP technicians and on-site service contracts are now available. We urge you to judge for yourself with a hands-on, one-on-one demonstration at your HP dealer. For locations, call TOLL-FREE 800-547-3400, Dept. 283A, except Alaska/Hawaii. In Oregon call 758-1010. Or write Hewlett-Packard, Corvallis, Oregon 97330, Dept. 283A.